Inspired by the highly effective RPK brake found on the AK’s big brother, the AK Slot Brake provides improved styling and helps dampen recoil. Machined from high strength steel. 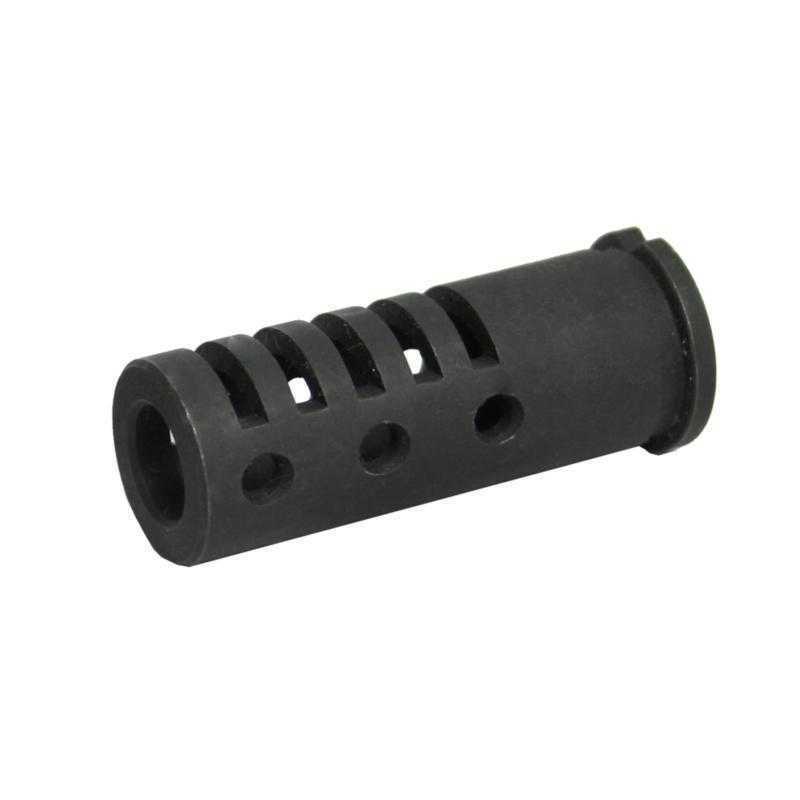 It is threaded in the standard 14 X 1 LH and can be installed as a replacement for any standard threaded AK muzzle. This item counts as 1 U.S. Sec 922r compliant part. 1.83" /1.2 oz.